We were very proud to be asked to host the first ever Dare To Be Different event. The brainchild of Susie Woolff, D2BD aims to educate and involve girls about the opportunities for them in the Motorsport Industry. 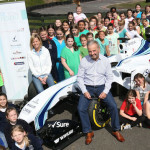 100 Primary School girls attended an amazing day at Daytona Sandown Park. Watch the video now! 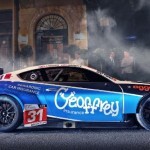 We caught up with Rick Parfitt Junior as he and Team Parker Racing launched their 2016 Bentley Continental GT at Morton’s in Mayfair. Rick started out racing indoors with Daytona and now enjoys a successful racing career – as well as his music. 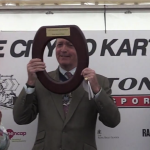 Daytona Sandown Park was delighted to be chosen to host the inaugural City GoKart Grand Prix. 25 Teams representing the City Livery Companies raced over two hours on the 900m GP Circuit at Daytona to raise awareness and funds for the Lord Mayor’s Appeal. 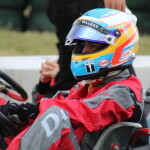 Fernando Alonso popped down to Daytona Sandown Park last week for a race with a few friends and colleagues. Opting to start last on the grid, Fernando wasted no time making it to the front within three laps! So who’s going to win the 2014 World Drivers Championship and why? The Deafening Silence of F1?